David McGaffin is a senior engineer who likes coming up with new project ideas… and finishing some of them. He also likes learning new songs on his ukulele… and finishing some of those too. He's from North Carolina but can’t fake a good Southern accent. I love a nice API. I’m also pretty fond of useful browser extensions. 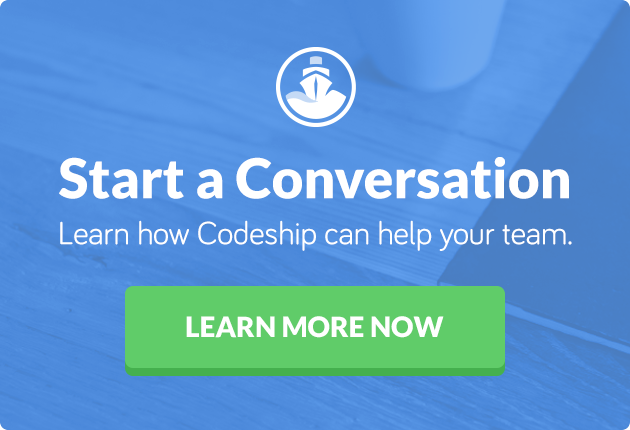 When I was interviewing at Codeship, I took a look at their service. I loved the attention to UX, I loved how simple it was to get a build running and how it easy it was to set up Codeship. After configuring a project or two, I thought, “Wouldn’t it be nice to get quick access to my Codeship builds?” Then, “Desktop notifications! I’d like some of those, too.” And so, Shipscope was born. Shipscope presents a popup containing all of your projects. The status of each project’s master branch is indicated next to the project name. Clicking a project shows you the last 10 builds for that project. Each build’s status is displayed in the build list. If a build is running, you see a little spinny thing. That never gets boring. If a build has completed, you can restart it and get that spinny thing going again! 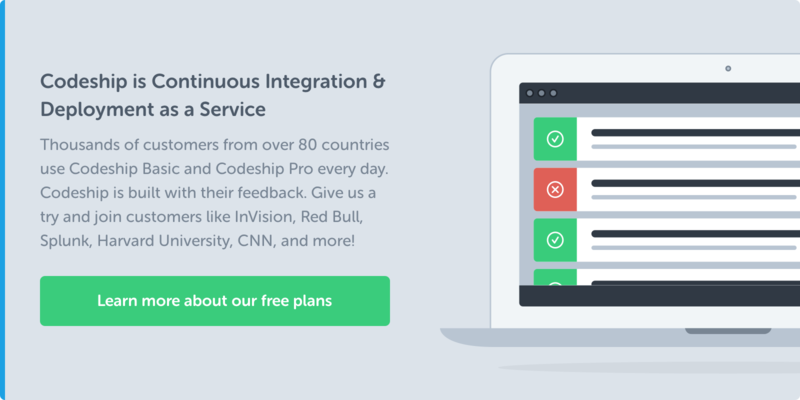 See your recent builds for any Codeship project. Green dots are good. Past builds can be restarted by clicking on the dot. We’ve added Shipscope to the Notifications page of your Project Settings, to make it easy to get it installed and configure. I use Shipscope every day. Whether I’m pushing changes to a feature branch or waiting on a deployment after my pull request has been reviewed and my code is on the master branch, it’s really nice to get a desktop notification when the build ends. At Codeship we have notifications hooked up to a group in Slack, as well as email, but I like Chrome’s desktop notifications for the way they relay information without being obstructive. When a build finishes, successfully or not, it’s nice to know right away. Shipscope is in the Chrome Web Store right now. I’m actively developing it, so please provide comments and suggestions. I’d also appreciate your reviews on the Chrome Web Store.